At Brick by Brick Pavers and Landscaping, we want our clients from Brick and other areas in New Jersey to have stunning landscapes. 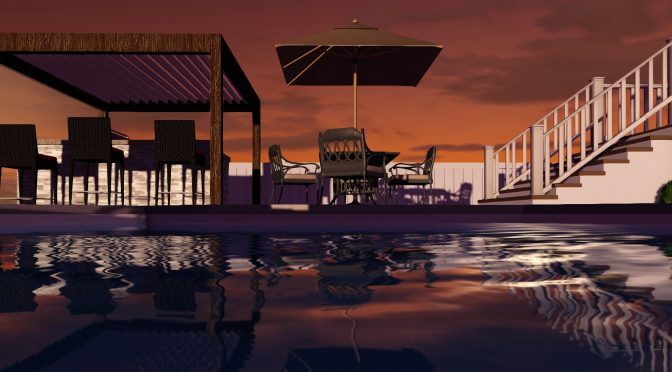 And we can do this by offering full-color and highly detailed 3D outdoor designs. We provide this specialized landscape design technique to every residential and commercial property owner who wishes to see in full detail the design to his or her outdoor area before construction starts. As a family-owned and -operated company, we know how important it is to have an outdoor area that is well-designed and constructed. This is why it is important to carefully plan the landscaping project using the latest design techniques and technologies. Eliminate human error. The problem with traditional 2D design rendering is that many actual measurements and calculations are normally handled wrongly. The results are costly reworking of the structures where errors were committed. A 3D outdoor design eliminates such possibility since computer designs are virtually error-free. With outdoor designs rendered in 3D, clients can effectively visualize in full-color and fine details what their outdoor areas will look like. They can actually make necessary changes before construction begins. This saves them time, effort, and money and ensures a timely completion of the project with the exact results that the clients have in mind. Extensive inventory of 3D plants, stones, trees, pavers, and many more. This allows for versatile choices and designing flexibility for our designers. The great thing about VizTerra is that it allows us to design practically every imaginable landscape and outdoor amenities such as driveways, pool decks, outdoor kitchens, fireplaces, and the rest of the landscape. All that our clients have to do is to create a bucket list of the design specifications and outdoor living amenities that they want us to include in our design. From such list, our skilled designers will work out on several 3D outdoor designs and present the same for our clients’ approval. And even if our clients hardly have an idea of what amenities they want for their outdoor area, our designers can nevertheless present some very good options. Browse our Portfolio page and see some of our completed 3D outdoor designs. If you are now convinced that we can provide you exceptional designs for your outdoors, contact us today or drop by our office for inquiries. With our expertise and creativity, you can expect for a stunning outdoor design that will surely meet your wants and preferences. 3D design including, paver driveway, paver walkway and entrance way, curbstone, landscape and landscape lighting. 3D design including, raised paver patio with sitting walls and light pillars, water feature, fire feature, outdoor kitchen, pergola, landscape and landscape lighting.